Entrepreneurship has become a major force in global economy. This is the engine of economic endeavor that drives industrial democracy. Policy makers across the globe are discovering that economic growth and prosperity lie in the hands of entrepreneur apart from making the world a better place to live in. Those who possess entrepreneurial spirit would continue to lead the economic revolution in future. A good business plan is a prerequisite for funding and is a right road map to a successful business. An understanding of Business models and Business plans is very critical to survival of a business and this skill is often found lacking amongst entrepreneurs and managers. 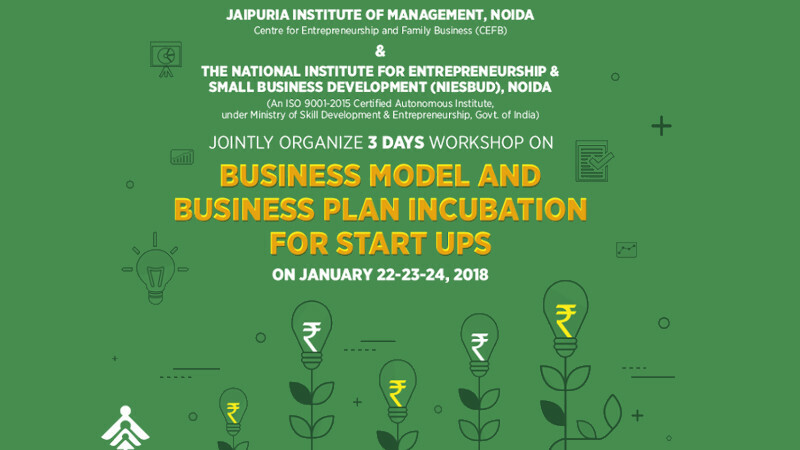 This workshop is focused on enhancing the understanding of Business Model and Business Plan amongst entrepreneurs, managers and other stakeholders.